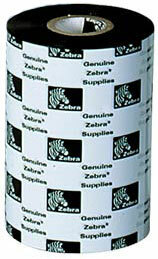 The Zebra 5049 High Speed Premium Wax is a premium wax ribbon for high-quality printing. Designed for print speeds up to 12 ips. UL recognized and CSA component acceptable when used with Zebra approved labels. The Zebra 05049BK10245-R is also known as ZEB-5049BK10245-ROLL	or 05049BK10245R	.